Everyone knows about Jupiter’s famous Great Red Spot, the centuries-old giant anticyclone on Jupiter’s southern hemisphere 2-3 times the size of Earth. But there are many other smaller (but still huge by terrestrial standards!) storms on Jupiter, the largest of which is Oval BA—also known as the “Red Spot Jr.” The image above shows this approximately Earth-sized anticyclone, imaged by NASA’s Juno spacecraft during its 4th “perijove” close pass on Feb. 2, 2017. I enhanced the original image from Juno’s Junocam instrument to bring out the structure and colors of the swirling clouds in Oval BA. You can see some bright cloud top domes within the center of the storm itself, the result of “boiling” convection cells not unlike what happens in storms on Earth…except on a much larger scale! The colors are the result of different compounds of gases within Jupiter’s atmosphere—which contains a lot of ammonia and watering combinations of the two—being churned up from various depths and interacting with UV radiation from the Sun. Storms like Oval BA can change colors over time; since its formation in 2000, it has appeared white, brown, and red. Scientists are still studying the processes that create Jupiter’s storms and why they have the colors they do. 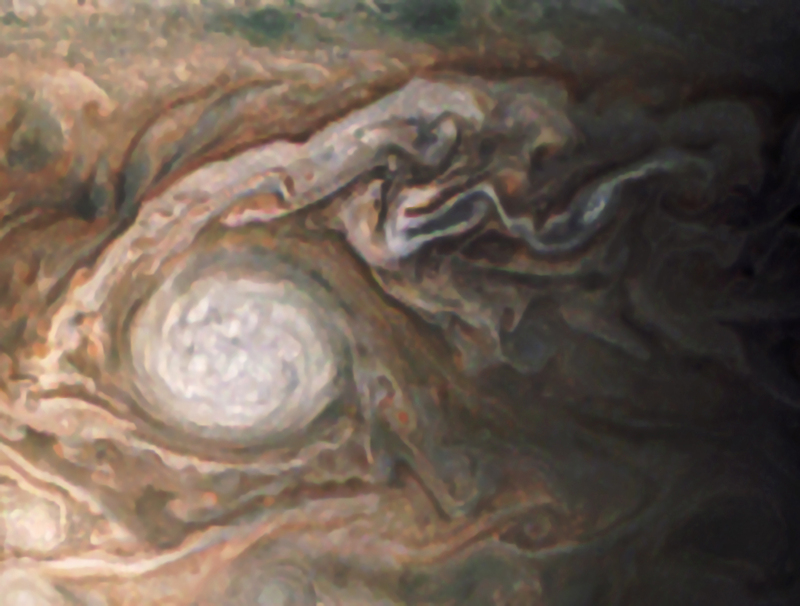 Thanks to Juno, we’re getting some amazing images of areas of Jupiter that have never been seen before. With Junocam, hobbyists and citizen scientists are openly invited to take the data collected by Juno during its flybys and process them as they wish, and even vote on targets for Junocam to image! 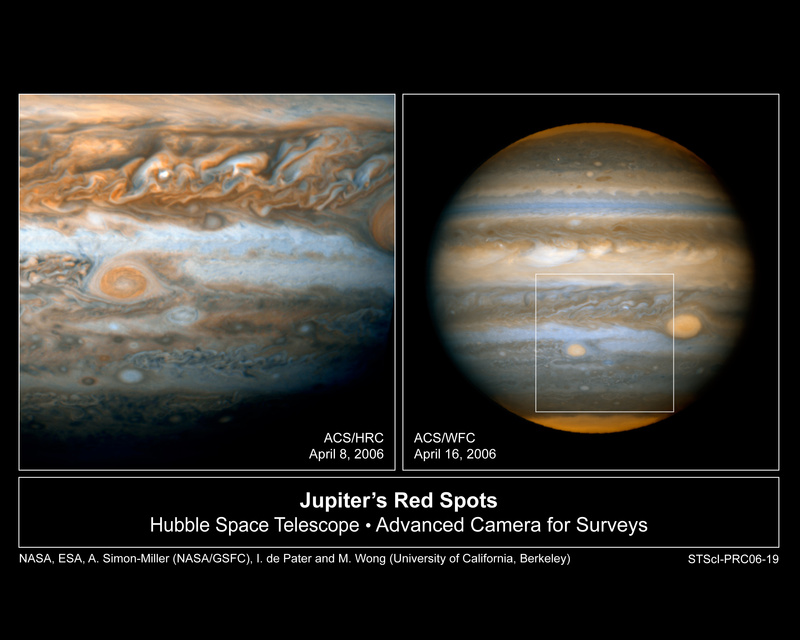 These pictures can then be sent back to the Junocam team for sharing on the site with the world. Find the latest images from Junocam as well as fan-processed versions here.